You may have noticed my love for matching and co-ordinated as I love dressing the children matchy. The same colours or theme to an outfit not only looks really sweet but with four small people to keep track of it can help me spot them in a crowd too. I love the idea of matching the boys with me or the bloke and one of the best ways to do that is with sunglasses. Smart Buy Glasses sell designer sunglasses for adults and children and they have some great options for parents and children to co-ordinate. These are three of our favourite pairings from Bolle, Julbo and Salice. I love the bright lenses and the funky blue frames and I think they would certainly stand out together. 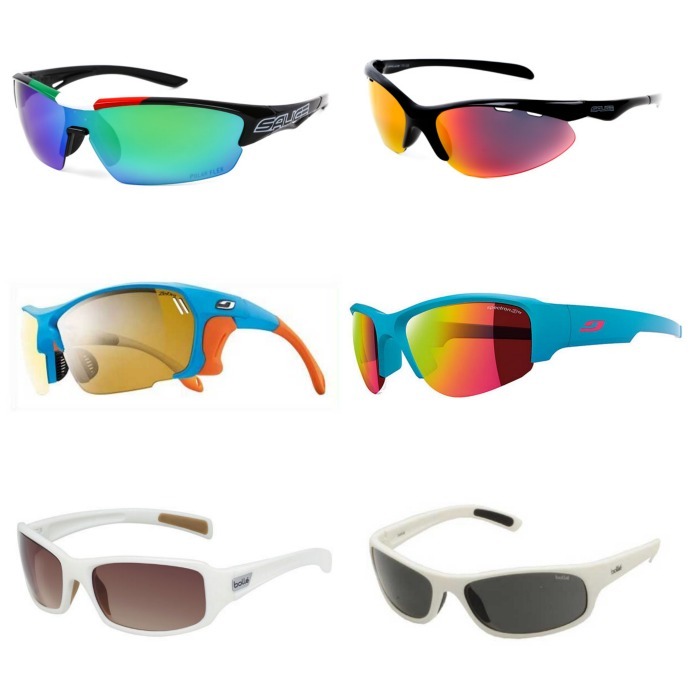 The streamlines black frames look great for active families and the polarized lenses make them look really different. Check out the Salice selection on the website for these. The blue frames are nice and bright and scream summer sun. I love the orange tips on the children's frames too. The white is more classic and simple and these are what I would pick if I wanted to get matching for me and the boys. They go with everything but they are still not quite your average. I have a few matches planned for Cora and I (one of the geeky reasons I love having a little girl) but it is fun thinking of ways I can co-ordinate with the boys as well.